11. How long does it take to establish the Operational Agility framework? 12. What are UI Activities Properties in UiPath? 13. What is the difference between UiPath and Selenium? Selenium is specifically designed to test web applications and websites, it is impossible in selenium to interact with multiple applications and taking the output of one application as an input for other application. It cannot work with Virtual environments like Citrix etc at all. 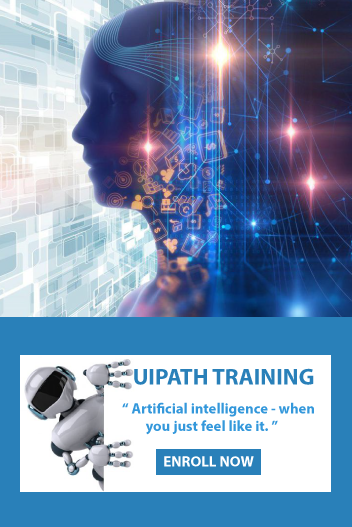 While UiPath is an RPA tool which is designed to automate any type of existing software process to replace any type of activities that can be performed by a human. So we can say that RPA is the next level of existing automation tools. It allows people to build a very complex rules-based process with very little software development skills. You can do all things using UIiPath which can be done by Selenium but vice-versa is not possible. You can also look at my below articles for more details on these tools. 14. What is publishing an automation project means in UiPath? Publishing of the automation package indicates archiving it and the related files present in a particular folder for sending it to robots and then executing it. When you will be connected to the orchestrator then the project will go to the orchestrator field and then it will be displayed on the packages page. And from this place, you can easily distribute them to the other robots after you assign some packages to the environment. Otherwise, it will get stored locally in the studio feed. 15. What are the general requirements of RPA for front and back office processing? Well, the fact is RPA is well-known for its flexibility and it is capable to meet the robust IT standards without compromising the security. It is possible to use the robotic software for front and back office. Most of the requirements are the same for both and thus users need not worry. The same configuration can easily be deployed and the results that can be derived are always superior in every aspect. Converting tedious tasks to total UI automation, UiPath Studio is a complete software solution that enables you to carry out repetitive tasks of your back office, easy and speedy. 17. During the planning phase of automation, what points are to be considered on priority? After selecting the tool which is the first task, the next big thing that matters a lot is selecting the right framework. There are various items that are tagged as In scope and Out Scope that need to be selected based on the type of task. After this, the test environment is to be considered. If required, users need to prepare the charts of project timelines. At the same time, the identification of deliverables is another major factor that is to be considered. 18. What Are The Differences Between Blue Prism And Uipath? Both come across as good tools and both have their own software. UI and BP, both have graphic process designers for developing the solutions. 19. What do you by mean by the term Information Collection in RPA? 20. Does Blue Prism Require Coding? Blue Prism’s digital workforce is fabricated, managed and asserted by the user or customer. Spanning operations and technology, it sticks to an enterprise-wide robotic operating model. It is code-free and can computerize any software. The digital workforce can be applied to automate processes in any department where managerial or administrative work is performed over an organization.